I’m a big fan of the combination of coconut and oatmeal, so that alone drew me in to this recipe. The addition of a mix of dried fruit made it even more appealing. I thought some tart dried cranberries sounded like a fantastic contrast to the sweet coconut. Unfortunately I didn’t have quite enough cranberries for the recipe, so I did half cranberries and half tart cherries, and I think that made them even better than I was hoping! And yes, I was right – it is a fantastic contrast. This is a really good cookie. 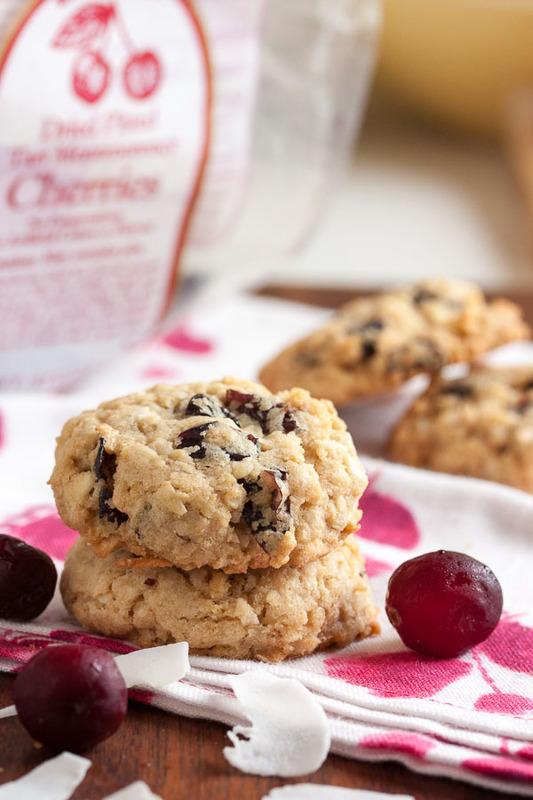 The combination of dried fruit and coconut gives this cookie an almost tropical feel, and the tartness of the cherries and cranberries helps to offset the sweetness of the cookie. The original recipe didn’t look very big, with only 1/2 cup butter and 1-1/4 cups of flour, and it said it would only make 48 small cookies (with just a teaspoon of dough per cookie). I knew that wouldn’t be enough for my coworkers, so I doubled the recipe. 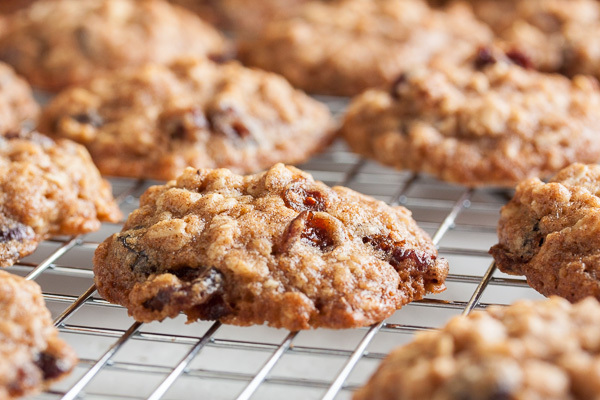 But as I started adding ingredients to the mixer – all the oats and coconut and everything else – the bowl got fuller and fuller, and I started to worry that I’d really underestimated how many cookies this recipe would make! Once all the ingredients were mixed together, though, it looked like a normal amount of dough. And I got 72 cookies, which is about what I usually make each week. The recipe didn’t specify sweetened or unsweetened coconut. I took a guess and used sweetened, but I think they ended up a little too sweet. It’s not bad! Trust me, I’ve eaten about 10 of them so far and you’ll note that I’ve favourited this recipe. Plus one of my coworkers came by the cookie jar 5 times in one day, exclaiming “don’t look at me!” But I think next time I’ll try using unsweetened or maybe a blend of the two. 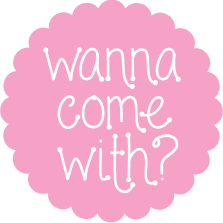 That’s just my preference, though – I’m sure you can get away with using whichever you have. The dough for this cookie is really thick. And while the photo in the book shows that they spread out and flatten, mine didn’t do that. I had to press the mounds of dough down with the palm of my hand before baking. The original recipe also said they only need to bake 8-10 minutes. Well, at 10 minutes they were just starting to puff up and spread out a bit, so for the first batch I left them in until about 13 minutes, when they just started to get a bit of colour around the edge. When I tried one, though, they were still pretty doughy. I tried baking the next batch a little longer, and those turned out much better. 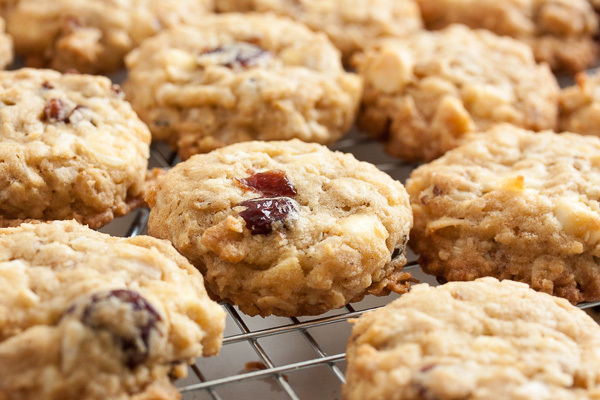 They’re still soft and chewy though – exactly what you’d expect from a coconut oatmeal cookie. This was definitely a favourite at the office. There were lots of yummy noises and people kept coming back for more. 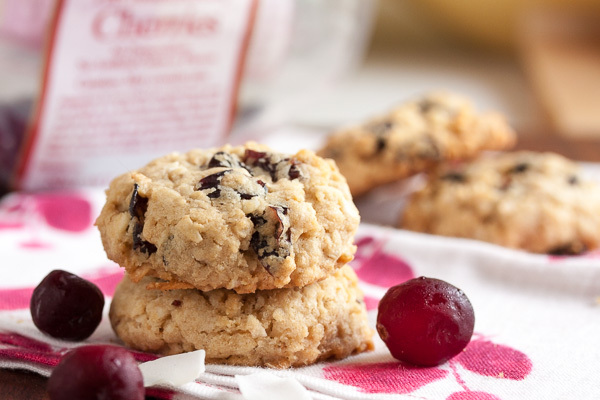 If you love coconut oatmeal cookies, you should give this one a try! 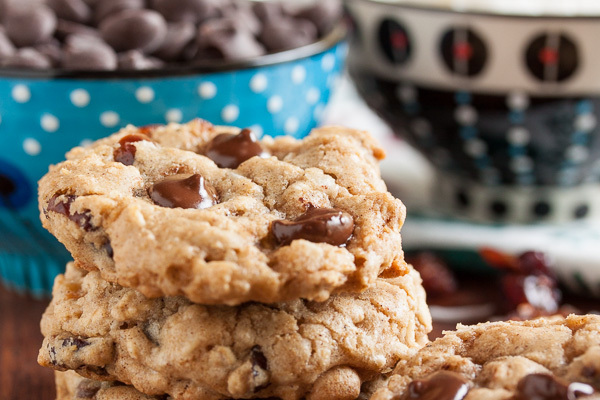 Adapted from "Ranger Cookies" from Better Homes & Gardens The Ultimate Cookie Book. The original recipe said it would make 48 cookies – I doubled it and got 72 cookies using my usual slightly larger than tablespoon-sized cookie scoop. The following is the doubled recipe I used. 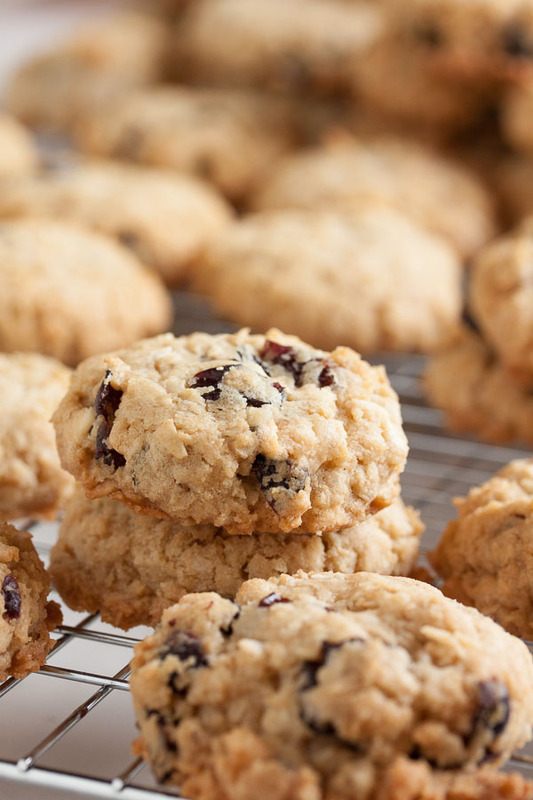 If you only want 48 cookies, you can halve the recipe. Turn the mixer down to low and add the dry ingredients, mixing until just barely combined. Remove from the mixer and add in the coconut and dried fruit either with a spatula or by hand. I prefer to knead inclusions in by hand to ensure they're distributed evenly.